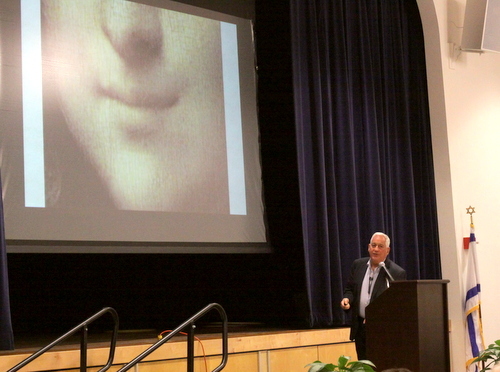 The enduring mystery of her elusive smile, however, is not only the pinnacle of da Vinci’s artistic achievement, but also the summation of all his other interest in engineering, physics, anatomy and drama, writer Walter Isaacson explained in a lecture this week supporting his new biography. If you’ve ever wondered why ‘Mona Lisa’ holds such an exalted place in the world’s artistic canon, treat yourself three minutes to listen to Isaacson’s explanation of exactly how da Vinci combined all his curiosity and passions into the expression on her face. Isaacson — a native of New Orleans and graduate of the Isidore Newman School — has led major news organizations CNN and Time Magazine and now presides over the Aspen Institute and teaches history at Tulane University. 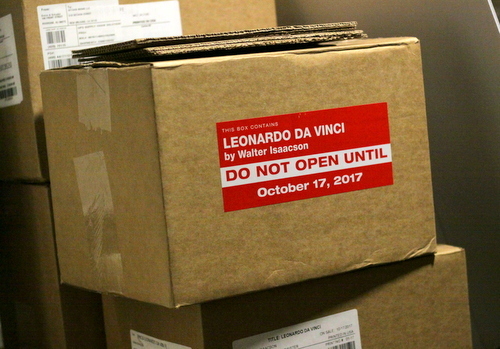 He has written biographies of Steve Jobs, Albert Einstein and Benjamin Franklin and others, and released a new book last month chronicling the life of da Vinci. 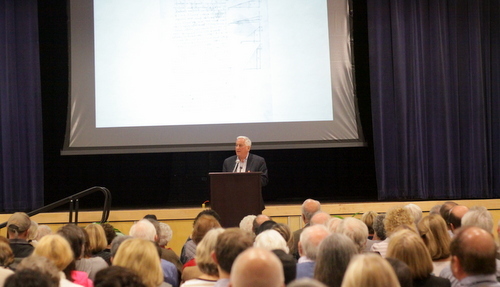 His lecture on the da Vinci book on Tuesday, Nov. 21, at the New Orleans Jewish Community Center filled more than 300 seats and had more people lining the walls. Leonardo da Vinci, Isaacson explained, was a different kind of genius — perhaps without the sheer mental processing power of Einstein, but with an insatiable need to understand every facet of the world around him and man’s place in it. As a child, da Vinci studied the swirling patterns created by water as it moved past obstacles in a stream, Isaacson said, and those swirling patterns preoccupied him throughout his life. He was also obsessed with mathematical questions — such as the geometric paradox of “squaring a circle,” the impossible effort to draw a square with the exact area as a given circle — and his notebooks are filled with investigations of those questions from the beginning of his life to the end. Leonardo da Vinci also labored toward perfection, only completing 15 paintings in his lifetime. 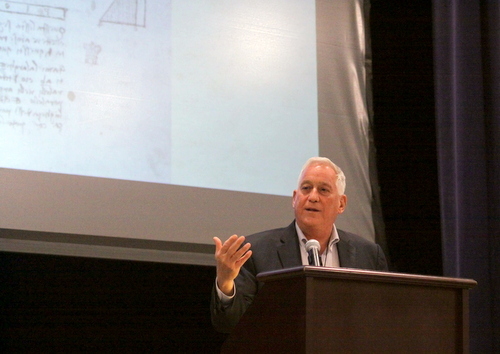 But when da Vinci stepped away from a work, Isaacson explained, it was not to abandon it — it was with the notion that he could always return to his studies, his exploration of the human body and the natural world, and return to the painting perhaps years later with a better understanding of how to approach his problem.